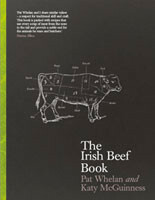 James Whelan Butchers are proud to be shortlisted for the Eircom Spider 2010 Awards in the category of Retail Excellence. 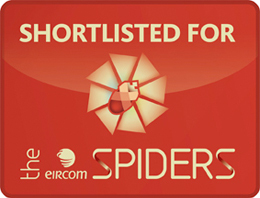 The Spiders are an annual event that recognises Irish individuals and organisations for their outstanding achievements online and celebrates the successes of the Irish internet and digital media. There are 20 categories in total ranging from Sports to Charitable non-profit organisations, Financial Services to Entertainment with an overall Grand Prix award announced on the night which recognises achievements across a variety of industries including Media, Education, Financial Services, Sports, Retail, Travel, Tourism & Hospitality and e-Buisiness . The Eircom Spider 2010 award for retail industry, sponsored by Realex, judges the nominated websites on their ability to provide innovative retail solutions that expand the business beyond the shop floor. The awards are judged by a prestigious panel of experts, comprised of leaders from industry, commerce, media and academia. The panel evaluates entries on a diverse range of judging criteria including content, structure & navigation, visual design, functionality, interactivity as well as overall user experience. The Eircom Spider 2010 Awards will be held in the Burlington Hotel, Dublin on the Thursday November 18th and hosted by comedian, Jimmy Carr.